The first “drive-thru” was at a St. Louis bank in 1930, and since that time we do a lot more than make deposits without ever leaving our cars. We can “drive-thru” to buy postage, meals, and coffee; to drop off books, dry cleaning, and movies; to get a flu shot or, even, to get married. Since we’re often “driving thru” outside our houses, it can become what we do inside our houses; making them nothing more than buildings where we grab what we need and then move on—pit stops in the race to the end of our lives. There’s food in the refrigerator but meals aren’t eaten together. There are books on the shelf but they’re never discussed. There are joys to be shared (or problems to be solved), but time isn’t made for conversation. We’ve become disconnected in many ways and overly connected in ways that limit human interaction. The use of devices for streaming, emailing, messaging, and gaming is often non-stop. We’re often “on”, but not in ways where we sit and talk with someone face-to-face. 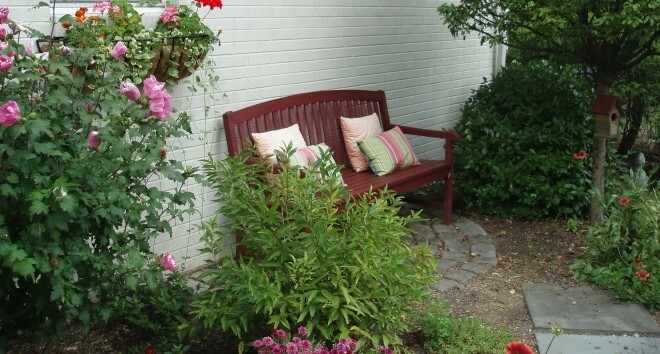 Some folks even communicate electronically with the people they live with inside their home! We often drive-thru our lives. We wake up, do what we have to do, leave the house, go the next place, run back to the house, and move through the day—and ultimately through life—running in a whirlwind. Years ago, on a day that my grandchildren didn’t have school, my daughter and I took them to a museum. For most of the day, there were a number of school groups there (clearly, we didn’t think about other schools not being off!) and it was obvious that the chaperones had to keep the students moving because of time constraints. There were a lot of hands-on activities that I’m sure most students didn’t get to try, and I’m guessing that they didn’t truly enjoy the exhibits because they were rushing through. They had the drive-thru experience of that museum. How much of their young lives are children already racing through? Sara, Lauren, Ethan and I had a great day. We were engaged with each other. We took our time, learned things, looked at pieces of art, talked about what we were seeing. We packed lunches and sat down and ate them together in the cafeteria. Sure we were in the car for a couple of hours but we didn’t “drive through” the day. We learned through it, explored through it, laughed through it. We walked through it…together…four simple human begins doing just that…being. What if you slowed down enough to really look at someone and have a great conversation? What if you didn’t “drive through” your life as much? 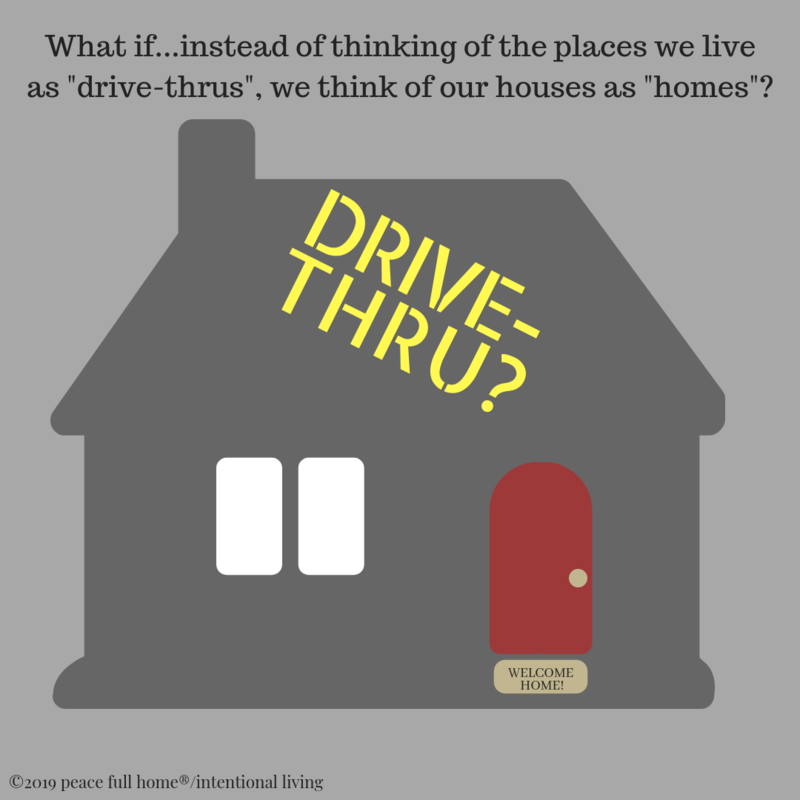 And, what if you made some choices that would turn your house from a drive-thru to a home? If you have a thought or question please share it on the form below. This entry was posted in Peace Full Home and tagged children, coffee, conversations, drive thru, drive-thrus, electronics, media, museums, rushing through life, S, school trips, technology, time, travel. Bookmark the permalink.